In this article, we will go through a couple of solution to understand the crux of this problem. If you are learning Java 8, then you can also solve this problem using lambda expression and streams, as shown here. 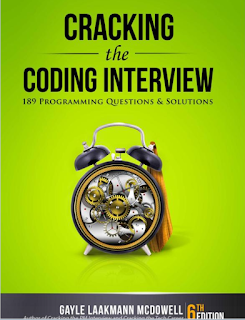 Btw, If you are preparing for programming job interviews and looking for some coding problems to prepare well, then I will recommend you to go through problems given in the book, Cracking the Coding Interview. It contains around 150 programming questions and their solutions with a good explanation. If you look at this solution closely you will find that the structure of the if statements is not good, and there are two tests for the same condition i.e. two if block to check if the number is divisible by 5. The problem is the code is not good but you should give the benefit of the doubt to the programmer because even though a test of 5 is written twice they are in different branches, and only one of them will execute, but I agree the code is not clean. You can see that it's much cleaner even though it is also doing the test twice, but it's more pleasing to the eye and straightforward. Here is our complete Java program which combines both approaches to solving the fizzbuzz problem. We also have some unit tests to verify our solution meets the problem statements. * version because we have tested for divisible by 3 and 5 first. * It avoid duplication also. 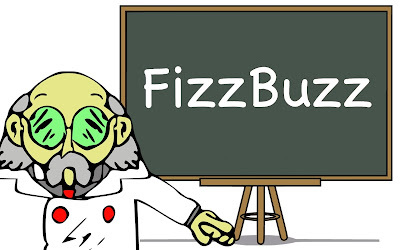 That's all about how to solve FizzBuzz Problem in Java. Sometime FizzBuzz is also asked as following problem statement, write a program that prints the numbers from 1 to 100. But for multiples of three print “Fizz” instead of the number and for the multiples of five print “Buzz”. For numbers which are multiples of both three and five print “FizzBuzz". So don't confuse there, same logic works fine. BTW, you have compile error in testFizzBuzzV2 method. Here is how to solve FizzBuzz in Java 8 using lambda expression and method references, awesome!!. Ok, I'm not even sure what I did. I tried the code in the example and it doesn't do jack. Maybe my code is wrong, I'm trying to understand it and write it without using a string declaration. How wrong is this code and can someone offer some guidance?